2-months Old 'Daisy' was rescued when she was 10-days old & has since been in Foster Care. She is very Healthy, extremely Playful and Active. Her Vaccinations and Deworming are complete. 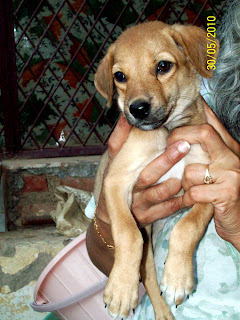 To Adopt her, call at 9810560230 or 9971984151.